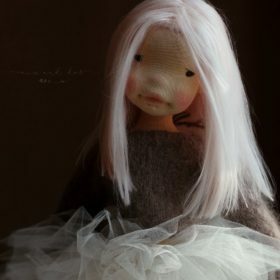 Ulla represents my Classic Collection of Waldorf inspired dolls. 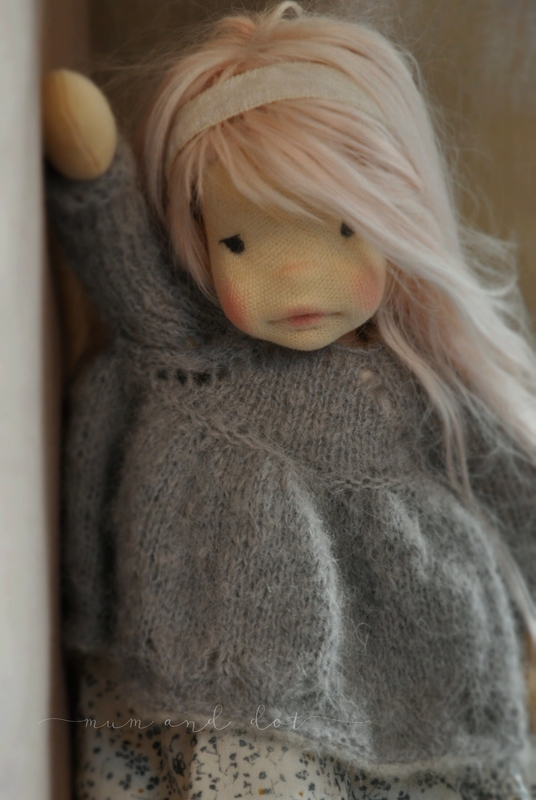 Unlike my sculpted dolls, Ulla`s face is simple and has neutral expression for even better and more creative play. 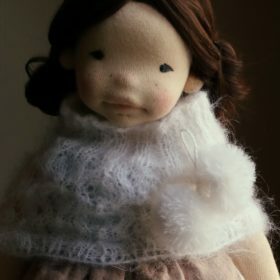 She has green eyes embroidered with a silk floss and tiny freckles. 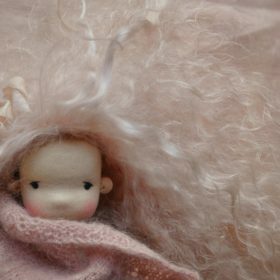 Her hair is made of suri alpaca locks. 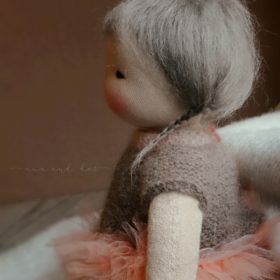 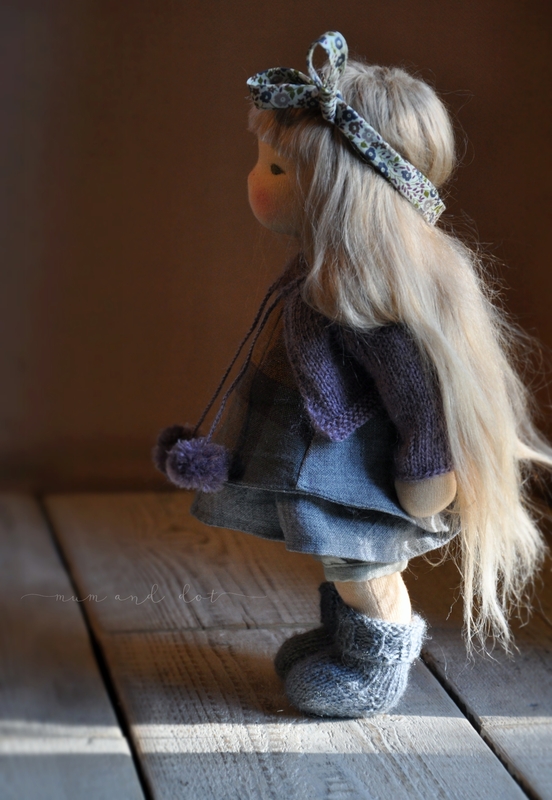 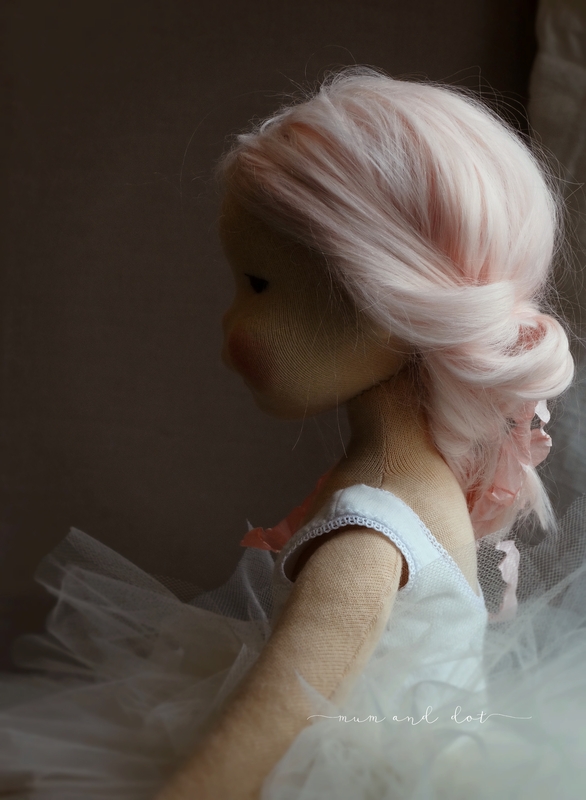 Her body has more sophisticated structure and is needle felted to resemble child (so Ulla has little ears, a neck, knobby knees and so on…). 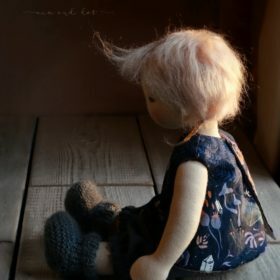 She comes dressed in a linen dress, linen tunic, hand dyed pants, cotton undies and a few knits: a bonnet, sweater with pom-poms, neck warmer and booties.